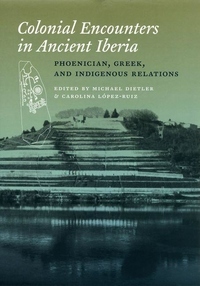 During the first millennium BCE, complex encounters of Phoenician and Greek colonists with natives of the Iberian Peninsula transformed the region and influenced the entire history of the Mediterranean. One of the first books on these encounters to appear in English, this volume brings together a multinational group of contributors to explore ancient Iberia's colonies and indigenous societies, as well as the comparative study of colonialism. These scholars--from a range of disciplines including classics, history, anthropology, and archaeology--address such topics as trade and consumption, changing urban landscapes, cultural transformations, and the ways in which these issues played out in the Greek and Phoenician imaginations. Situating ancient Iberia within Mediterranean colonial history and establishing a theoretical framework for approaching encounters between colonists and natives, these studies exemplify the new intellectual vistas opened by the engagement of colonial studies with Iberian history.